At this year's productronica trade fair, Rohde & Schwarz is showcasing its innovative T&M solutions for next generation wireless communications technologies, including the Internet of Things (IoT), fifth generation mobile radio (5G), automotive radar and infotainment systems. In addition to the showcases, the Rohde & Schwarz Memmingen and Teisnach plants will be presenting their production and development services. Here is a list of what to expect from R&S at productronica 2017. At productronica, developers active in 5G or general broadband communications will be able to see a test solution consisting of the R&S SMW200A vector signal generator and the R&S FSW43 signal and spectrum analyzer. This test setup supports Verizon 5GTF signals and numerous 5G candidate waveforms in the frequency range up to 40 GHz. The new R&S FSW-B2001 integrated hardware option extends the internal analysis bandwidth of the R&S FSW43 to 2 GHz. With this option the signal and spectrum analyzer offers a 14 bit ADC resolution and a wide dynamic range. For machine-to-machine communications (M2M) and the Internet of Things (IoT), narrowband IoT standards are currently being developed for a variety of application scenarios. Developers and manufacturers of corresponding chipsets, radio modules and devices with IoT connectivity need test solutions that enable them to check the quality and performance capability of components. The R&S CMW290 functional radio communication tester from Rohde & Schwarz is an ideal and economical solution for measuring the transmitter and receiver characteristics of an NB-IoT module or chipset. The trade show booth also features a demo of how developers can use an R&S CMW290 in combination with the R&S CMWrun sequencer software and the R&S RT-ZVC02/04 multichannel power probe to measure the battery life of IoT modules, which is a key operating parameter. 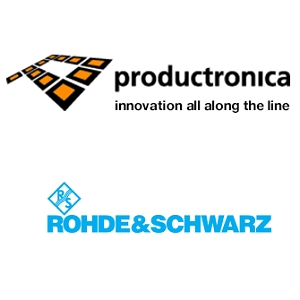 At productronica, Rohde & Schwarz will also be exhibiting oscilloscopes to meet any requirement when it comes to the development of associated embedded designs, analysis of integrated power electronics or troubleshooting. 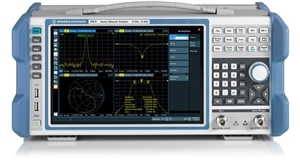 The compact lab oscilloscopes of the R&S RTO2000 and R&S RTE families, with their unique multi-domain attributes in combination with specific probes, are ideal development tools for power integrity measurements of embedded designs and other tasks. The R&S RTO family covers bandwidths up to 6 GHz, the R&S RTE family up to 2 GHz. Thanks to a recent model upgrade, the R&S RTE is now available as standard with an integrated HD mode (16 bit resolution) and an integrated SSD memory card. Measurements on power electronics, for example fast GaN transistors, are an important field of application for the R&S Scope Rider handheld digital oscilloscope. Its isolated inputs eliminate the need for costly differential probes, and it offers bandwidths up to 500 MHz. The entry-level R&S RTB2000 is suitable for general lab measurements and for educational applications up to 300 MHz. Radio modules are used in a wide variety of devices, including IoT interfaces, mobile devices, consumer electronics, and vehicle infotainment systems. 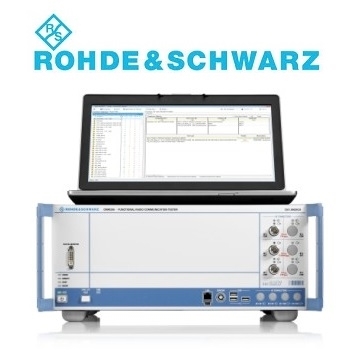 For this, Rohde & Schwarz will showcase production tests on WLAN and Bluetooth(R) modules using the R&S CMW100 multi-device communications manufacturing test set. Up to a bandwidth of 160 MHz, the demo presents typical nonsignaling production measurements for the latest WLAN IEEE 802.11ac/ax standards and for Bluetooth(R), Release 5. This solution enables manufacturers of radio modules and mobile devices to test several WLAN and Bluetooth(R) modules in parallel thanks to the "smart channel" concept and the R&S CMWrun sequencer software. Test data from the development environment can easily be transferred to production tests. For manufacturers and integrators of automotive radar components, Rohde & Schwarz is presenting test solutions for every price and performance class at productronica. 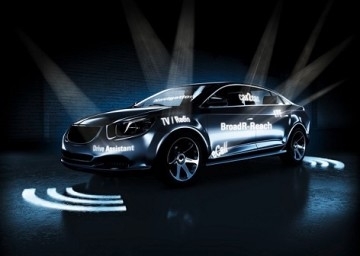 For example, developers and production departments can use the ARTS radar target simulator together with the R&S FSW43 signal and spectrum analyzer to test automotive radar sensors up to 1 GHz bandwidth. For analyzing broadband FMCW chirp signals, Rohde & Schwarz is exhibiting the R&S FSW85 signal and spectrum analyzer with extended signal analysis bandwidth up to 5 GHz for center frequencies up to 90 GHz. This is made possible by the new R&S FSW-B5000 hardware option and the R&S RTO2064 digital oscilloscope featuring a 6 GHz bandwidth. At the trade show, the radar signals generated in this test system are impaired by standard interfering signals originating from an R&S SMW200A vector signal generator and an R&S SMZ90 frequency multiplier. This allows users to emulate realistic radar interference signals in all relevant automotive radar frequency ranges in the 24, 77 and 79 GHz bands using configurable parameters. At the booth, visitors can also find EMI test receivers that allow them to perform any standard-compliant disturbance measurement, e.g. the R&S ESRP for precompliance tests or the high-end R&S ESW, which fulfills the most stringent requirements for certification measurements in line with all relevant standards. A radar test station for the production environment is also on display. It consists of the R&S AREG100A automotive radar echo generator and the mobile, almost cabinet-sized R&S ATS1000 shielded chamber. This system is suitable for radar signals in the 24, 77 and 79 GHz frequency bands and complemented by a signal and spectrum analyzer specifically configured for the corresponding measurement task. For typical automotive radar IF signals and downconverted RF signals, the demo system additionally shows how radar pulses can be analyzed in detail using the R&S RTO2044 digital oscilloscope and the R&S VSE vector signal explorer software. Rohde & Schwarz offers a comprehensive product portfolio for testing RF and microwave components. A new product in the high-end range is the analog R&S SMA100B RF and microwave signal generator for component characterization. This signal generator offers uncompromising maximum performance: it generates signals with very low phase noise and the highest output power with extremely low harmonics. Combined with the high-end R&S FSWP26 phase noise analyzer and VCO tester, it gives users a unique, high-precision solution for wideband phase noise measurement. The new compact test equipment family consisting of the R&S FPL1000 spectrum analyzer and the R&S ZNL network analyzer is also on display. These portable devices with versatile measurement functions are suitable for many applications in research, service and production. For example, the R&S ZNL can be converted into a 3-in-1 allrounder with the integrated spectrum analysis option and power probes. Other exhibits include a multiport RF component test solution based on the R&S ZNBT multiport vector network analyzer, which supports up to 20 GHz and 24 test ports, as well as the R&S BBA130 twin-band broadband amplifier with adjustable amplifier parameters for design and product validation tests. Rohde & Schwarz is exhibiting at booth 375 in hall A1 at productronica. On Tuesday, November 14, 2017 there will be a press day. Journalists are invited to come and learn more about the products.